Kent’s outreach debating programme aims to raise the speaking and listening, confidence, teamwork and leadership skills of secondary school students and we are recruiting Kent students to work as tutors to help deliver the programme. Working hours are variable and flexible, on campus and in secondary schools, and will generally be Monday to Friday 09.00 – 15.00. Previous experience of debating is not essential as full training will be provided. Salary is £14.99 per hour. Email your name and a short statement explaining why you would like to be a tutor to outreach@kent.ac.uk . If you have any questions, or would like further information, please email outreach@kent.ac.uk . To find out more about Kent’s outreach programme please visit our website. This entry was posted in Medway Student, Student Guide on 28 February 2018 by Wendy Raeside. The Centre for English and World Languages (CEWL) is offering Individual Writing Tutorials to give you the opportunity to discuss your academic writing with a member of staff from CEWL. Advice will be given on the language, structure and coherence and cohesion of your work. Individual sessions last 20-30 minutes each and are free of charge. Tutorials are available all year. To make an appointment, please email us at cewl@kent.ac.uk. Please note that this is not a proof-reading service. Following yesterday’s (27 February) informal talks between representatives of UUK and UCU aimed at finding a way forward and resolving the current USS related dispute, we have been advised by UUK that the talks were positive and that UCU proposed a further potential solution, closer to the employer position, which can form the basis of further talks. Both sides agreed to involve ACAS in the next stage of their discussions. The University is pleased that there seems to have been this progress, in line with the representations we have made to both UCU and UUK to return to discussions. We are writing now to all staff at the University to ask all those who have participated or intend to participate in the industrial action to suspend their action in the interests of our students whilst these negotiations continue. In return for the suspension of action locally, the University would not make any deductions from those staff who participated in the first five days of industrial action. This entry was posted in Campus online on 28 February 2018 by Wendy Raeside. 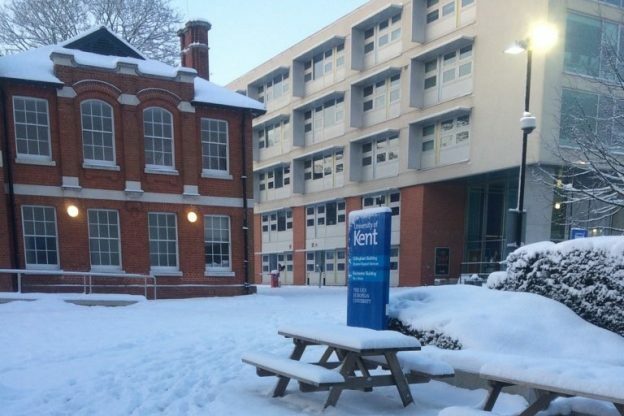 Due to the current weather conditions the Central Staff Induction event that was due to take place at the Medway campus on Thursday 1 March 2018, has now been postpone. Please contact the Learning and Organisational Development by email team if you require any further information. This entry was posted in Campus online on 28 February 2018 by Charlotte Guy. 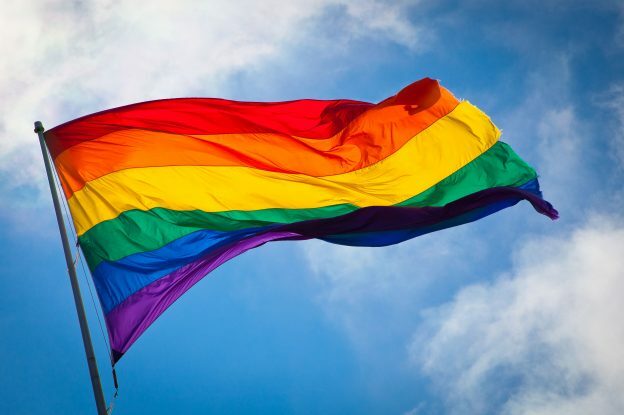 The pride flag originally held eight colours with pink placed on top of the red, symbolising sexuality and indigo placed below purple, symbolising spirit. When the flag became popular and widespread it demanded production; pink had to be dropped because it was not commercially available, later seven became six so as to keep the colours even. Designed by Michael Page in 1998, the bisexual flag gave the underrepresented bisexual community its own symbol comparable to the gay pride. It had the aim to increase the visibility of bisexuals both among society and within the LGBT community. 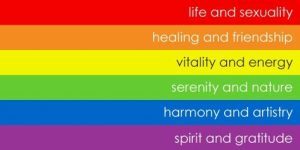 The colours signify the romantic and/or sexual attraction to multiply genders, your own gender and others. 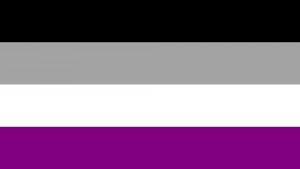 The flag was created in 2010 and was driven primarily by the desire to have a symbol that belongs to the asexual community. It was agreed upon through a multi-stage vote. The lesbian flag features a “labrys,” a double-headed axe associated with early matriarchal Minoan societies and favoured by tribes of Amazon warriors who roamed the area that is now Kazakhstan. The labrys became popular with lesbian culture in the 1970s, but has fallen out of common use since. The black triangle is a throwback to nazi Germany, similar to the pink triangle used by the general gay movement. The black triangle denoted “anti-social” behaviour, which included lesbianism. Although the flag was created fairly recently (1999 by Sean Campbell) it’s not as popular now as it once was, possibly because of the relative unknown of the symbols. The transgender pride flag was created by Monica Helms, a transgender woman, in 1999. The two coloured stripes represent the traditional colours for baby boys and girls and white is for those of intersex, neutral, or other genders. The flag is intentionally symmetric so that however you hang it, it is in the ‘correct’ orientation. Helms says this was to represent transgender people finding “correctness” in their lives. Pansexuality is a recently new categorisation of sexual attraction. The difference between bisexual and pansexual is that pansexuality is an attraction regardless of gender. 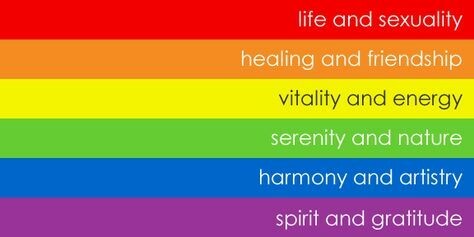 The colours symbolising blue for male, pink for women and yellow for all. 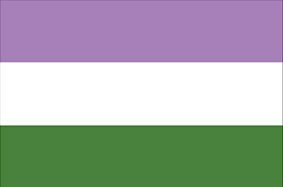 The Genderqueer Pride flag was created by Marilyn Roxie in 2010 with help from the Genderqueer internet community. The lavender is a mix of the traditional blue and pink gender colours for people who are a little of both, the green is meant to be the “inverse” of lavender for those outside the binary and the white represents gender neutrality. This entry was posted in Campus online, Medway Student, Student Guide on 27 February 2018 by Allie Burnett. You can find all the latest information for staff about the proposed pension changes and the industrial action on the HR website including the latest updates from UUK. This entry was posted in Uncategorized on 23 February 2018 by Miles Banbery. A Cambridge CELTA qualification allows you to become an English language teacher and is recognised across the world, allowing you to teach in the UK or overseas. 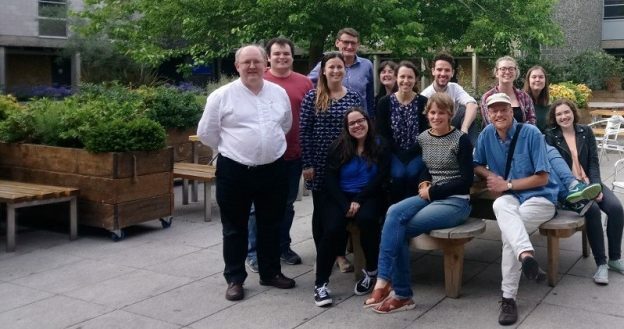 The Centre for English and World Languages (CEWL) runs a five-week full-time CELTA course starting on 18 June. The deadline for applications is 28 May 2018 although applications are dealt with on a first-come-first-served basis. This entry was posted in Medway Student, Student Guide on 23 February 2018 by Annabel Chislett. In her latest blog, Vice-Chancellor and President Professor Karen Cox gives an assurance that she will continue to press for a consideration of alternative options by UUK, UCU and the USS. Tomorrow (Friday 23 February) she will be meeting with Universities UK and vice-chancellors from across the sector and will ensure that Kent’s voice is among those calling for a resumption of national discussions on the future of the USS pension. You can find all the latest information for staff about the proposed pension changes and the industrial action on the HR website including the latest update from UUK. This entry was posted in Campus online on 23 February 2018 by Miles Banbery. 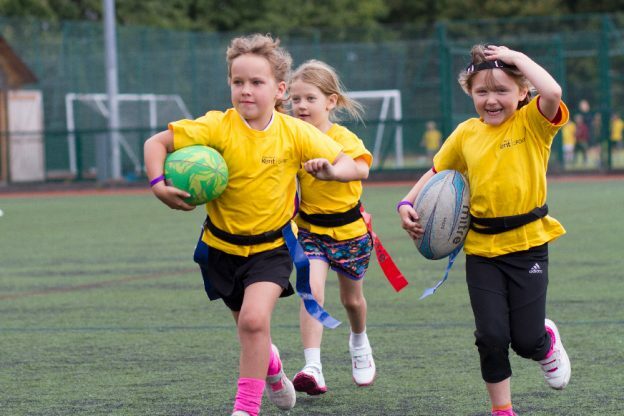 Kent Sport has the perfect way to keep your children entertained this Easter, with five days of professional sports coaching, led by qualified and DBS checked coaches and supported by sports supervisors. If your children are aged five to 14 and would enjoy taking part in a variety of sporting activities on a daily basis, including football, kwik cricket, tag rugby, hockey and tennis, then book them onto EasterZone 2018! An introduction to new sports and activities will be on offer along with the opportunity for children to develop their skills in specific sports and make new friends in a fun environment. Prices for EasterZone are £35 per day or £130 per week. University of Kent staff and student discounts are available. Late pick-ups until 5pm are also available for an extra £10 per day per child. Closing date for applications will be Sunday 18 March 2018 and we will be unable to accept bookings after this date. You can book your places online or download a booking form at www.kent.ac.uk/sports/easterzone. Please complete and return the form with a cheque (made payable to ‘Uni Kent’) to the University of Kent Sports Centre, Canterbury, Kent CT2 7NL. Please contact sportsdevelopment@kent.ac.uk if you have any queries or call 01227 816391. This entry was posted in Campus online, Medway Student, Student Guide and tagged Campus online, Canterbury, Medway, Student Guide on 23 February 2018 by Michelle Ulyatt. 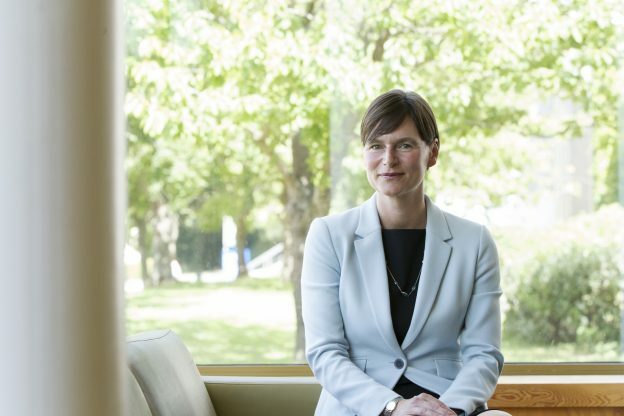 The Vice-Chancellor has made two changes to the senior leadership structures at the University. Firstly, the Executive Group plus Deans (EG+) will, from 1 March, become the Extended Executive Group (EEG). The membership will now comprise: EG; Director of Human Resources; Dean of the Faculty of Humanities; Dean of the Faculty of Social Science; Dean of the Faculty of Science; Dean of the Graduate School; Dean for Internationalisation; Dean for Medway; Academic Registrar; Director of Estates; Director of Information Services; Director of Commercial Services; and Director of Student Services. Secondly, Managers’ Forum has been renamed the Senior Leadership Forum. Its membership includes: Executive Group, Deans, Heads of School, Directors of Professional Service Departments, Heads of Centres and Medway representatives. 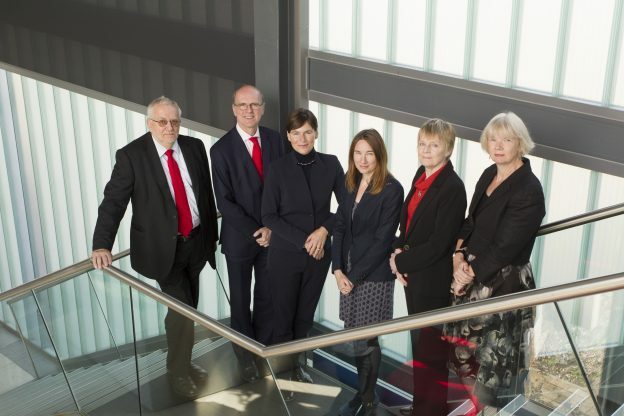 The Executive Group (EG) itself remains unchanged with its membership comprising: Vice-Chancellor and President; Senior Deputy Vice-Chancellor and Provost; Senior Deputy Vice-Chancellor and Chief Operating Officer; Deputy Vice-Chancellor (Education); Deputy Vice-Chancellor (Research and Innovation); and the Director of Finance. The Secretary to the Council is in attendance. This entry was posted in Campus online and tagged Campus online, Canterbury, Medway on 23 February 2018 by Michelle Ulyatt.